Mere weeks after Intel fessed up to a serious bug crashing Skylake systems running Prime 95—a oft-used program for DIY PC builders—or other complex applications, motherboard makers are already rushing out patches to fix the issue. 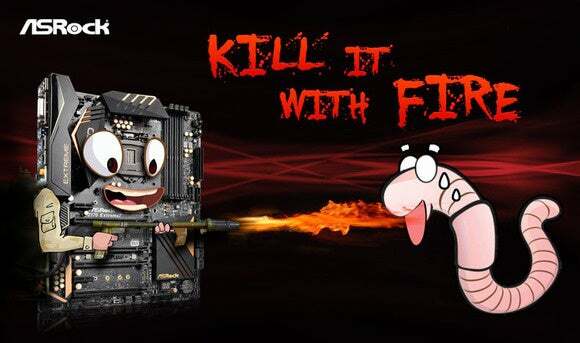 ASRock released a BIOS update to squash the Skylake bug on Monday, while Gigabyte released a new BIOS for its Skylake-centric boards late Thursday. You can find both on the ASRock and Gigabyte websites, respectively. Expect to see hardware vendors like Asus, MSI, and EVGA rush out BIOS updates of their own soon. That’s because Intel can’t simply push out a driver of its own to correct the issue, which only shows up sporadically. In other words, it’s up to the motherboard makers to get the fix out to people. The impact on you at home: This bug could potentially be a showstopper (if it shows up) in complex industry uses, but the impact’s likely smaller on home users, where only enthusiasts are likely to be running the affected applications. Enthusiasts use Prime 95 to stress-test new processors; if a lock-up occurs, it usually means your chip's broken. This bug meant hardware failures could no longer be pointed to as the definite culprit if your system crashed during stress-testing. It’s good to see motherboard makers delivering a patch for such a serious issue lickity-split, despite its limited reach.